I am a little late on last week's TpT Seller Challenge. We were supposed to make a product and have someone else from the challenge proofread it for us. Since I was out of town for the 4th of July and then getting ready for Vegas, I knew I didn't have a ton of time for this challenge. 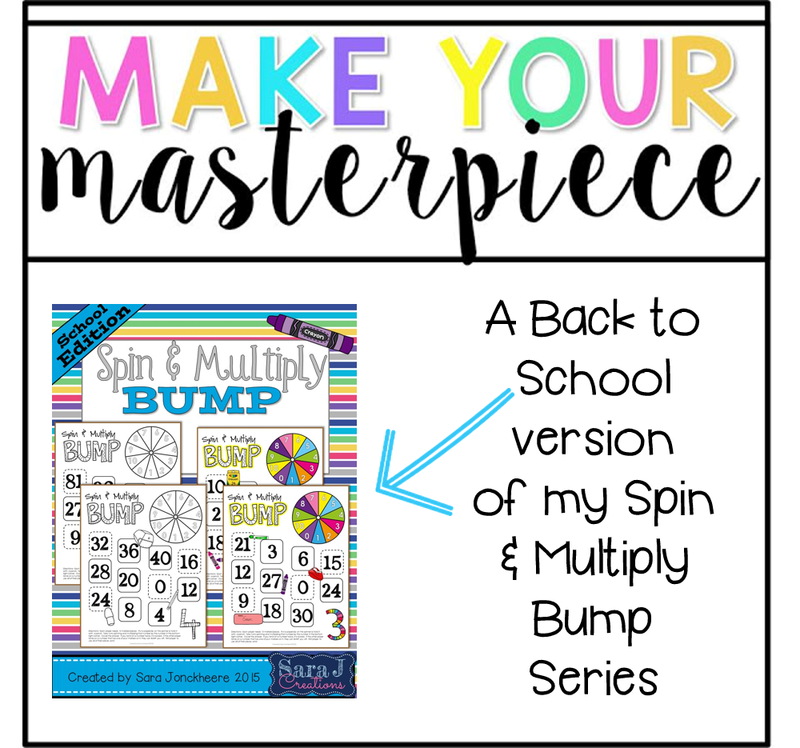 I decided to make a back to school version of my Spin and Multiply Bump. 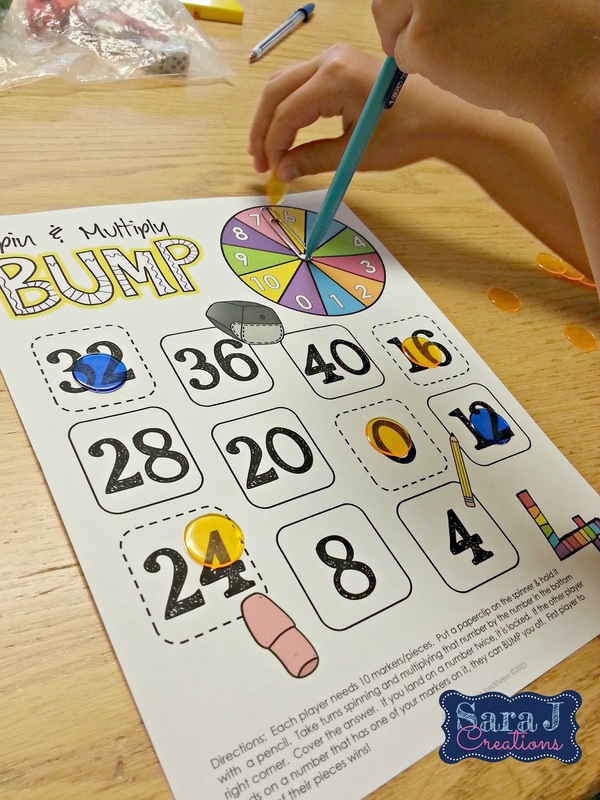 I use these games each week with the girls I tutor to review their multiplication facts. All the games that I've created in this series are the same game boards but I've changed the clipart and colors to make them seasonal. If you want to read more about bump and the rules you can click HERE. Next, I need to make a Thanksgiving version and then I am going to make a year long bundle so you can have multiplication games all year long. 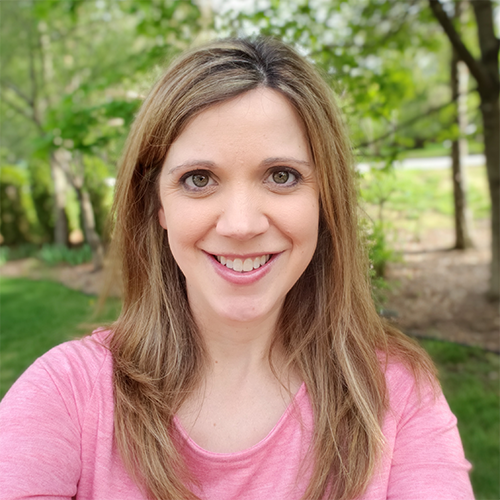 Special thanks to Emily (Third in Hollywood), Ashley (Teache Create Motivate), Jen (Sparkling in Second), and Amber (Peppy Zesty Teacherista) for hosting this challenge. Gorgeous game board! Your font game is super strong - I LOVE the font you used for "Bump" :) What a great way to practice multiplying with a certain number!